Year: 2008. Client: Delevante Foundation, The Netherlands. 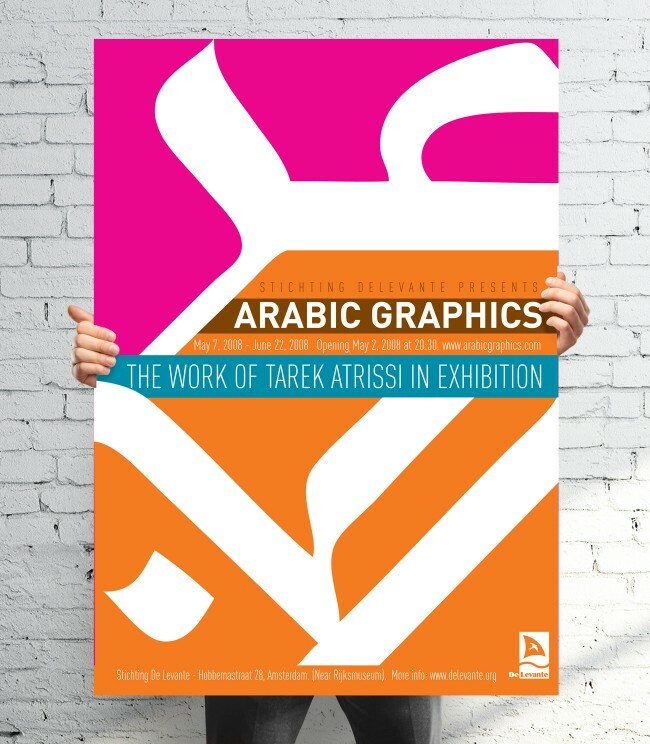 For the solo exhibition of Tarek Atrissi’s graphic and typographic work “Arabic Graphics”, we designed the promotional material for the event organized by the Delevante Foundation in Amsterdam, the Netherlands. The main image and graphic identity of the exhibition was created through the promotional poster of the event. 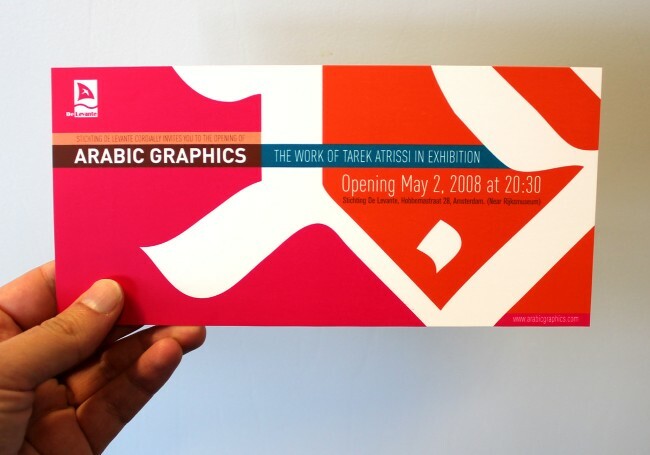 The poster was designed through a typographic approach, since its main components were Arabic letters. The letters were seen as forms rather than actual letters, and focus on their details created the main shapes of the poster. The vivid Pantone colors chosen for the poster defined further the identity of exhibit and were adopted on the rest of the promotional material, such as the printed invitation card and the digital marketing material. 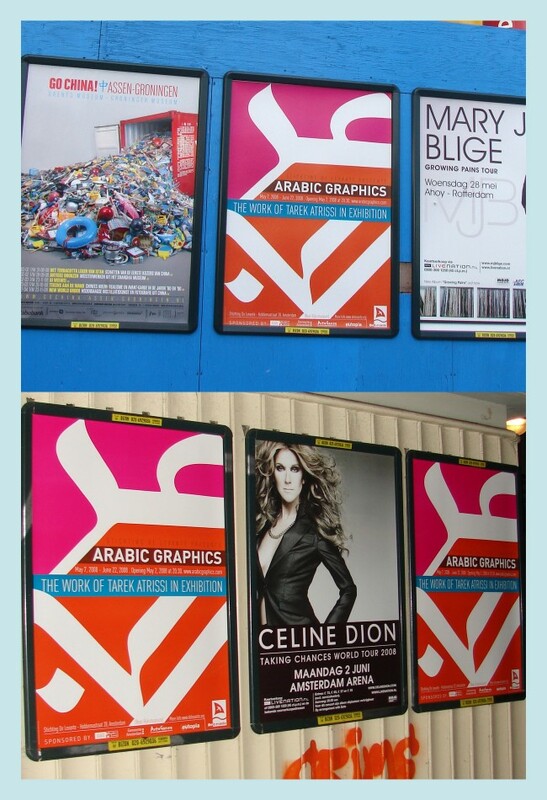 The poster was printed and distributed across the city of Amsterdam. It is minimalist graphic abstract design and strong colors made it eye catchy; it stood out in the crowd of posters typically to be seen on the streets of Amsterdam.